The standoff between CBI’s top two officers, Alok Verma and Rakesh Asthana, goes back to 2016 when Verma became director. 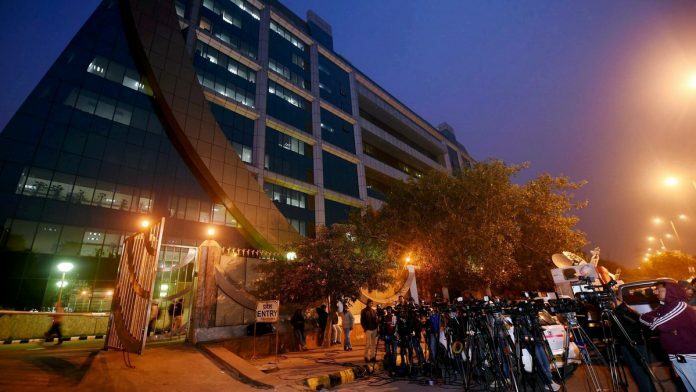 New Delhi: The unprecedented churn in the Central Bureau of Investigation (CBI) over corruption allegations follows two years of hostilities between its top two officers, director Alok Verma and special director Rakesh Asthana. As the officers trade allegations over who exactly colluded with meat exporter Moin Qureshi to extort money from suspects under investigation, ThePrint traces the genesis of the ugly battle and its various twists and turns. Rakesh Asthana, a 1984-batch Gujarat cadre officer, is said to be close to BJP president Amit Shah and Prime Minister Narendra Modi as both of them belong to Gujarat. In the CBI, he has been involved in investigating some high-profile cases, like the Sabarmati Express fire in Godhra in 2002. As superintendent of police in the CBI, he also arrested Rashtriya Janata Dal (RJD) chief Lalu Prasad Yadav in the fodder scam in 1997. Sources point out how Asthana secured the special director’s post despite concerns about his alleged role in a case of money laundering involving Sterling Biotech, whose owners, the Sandesaras, are said to have fled India after allegedly defaulting on loans of Rs 5,000 crore. Asthana is currently being probed in six cases of corruption, which include two FIRs related to the Sterling Biotech case, two related to the arrest of journalist Upendra Rai, and one stemming from the recent CBI searches on a caterer at the Palika Services Officers’ Institute (PSOI) in Delhi. In 2016, after Anil Sinha retired as CBI director, the Modi government reportedly ignored several senior batches to appoint Asthana as the acting director for a few months, which reportedly came as a surprise to many. A 1979-batch UT cadre officer, Verma has served as Delhi Police commissioner and is said to be close to the Prime Minister and the government brass. This is believed to be the reason behind his selection as CBI director from among many contenders. According to rules, the CBI director has to be compulsorily consulted before appointing any person above the rank of superintendent of police. However, in Asthana’s case, Verma’s objection was overruled. What is the fight, when did it start? The tiff between Asthana and Verma is, at its heart, an ego tussle. Asthana was the acting CBI director when Verma took office in 2016. Once Verma stepped in, Asthana, an old CBI hand, is said to have started flexing his muscles and took decisions without keeping the director in the loop. For instance, Asthana, investigating the IRCTC scam involving former Bihar chief minister Lalu Prasad Yadav, started carrying out raids without informing Verma, which irked him. Asthana also began to represent the CBI at meetings with the Central Vigilance Commission, a supervisory agency for the CBI. When his appointment as special director came up for clearance before the Central Vigilance Commission, Alok Verma is said to have flagged his alleged role in the Sterling case but his objection was overlooked. The selection committee that approved his appointment as special director over Verma’s objections included CVC K.V. Chowdary, who has himself been under the scanner since his name surfaced in the Sahara-Birla diaries. The fight worsened when Asthana once compiled a preference list for CBI appointments and forwarded it to the chief vigilance commissioner (CVC), a task typically performed by the director. Not pleased, Verma made it clear that the job was his to perform. In July this year, the CBI wrote to the Central Vigilance Commission that Asthana could not represent director Verma in his absence as he was being probed in several cases of corruption. The letter stated that several officers being considered for induction by Asthana were under investigation in criminal cases filed by the CBI. It was alleged that Asthana used his powers to bypass Verma’s authority to induct officers of questionable integrity. Moin Qureshi, a meat exporter arrested in August 2016, allegedly extorted money from suspects on behalf of CBI directors on the promise of relief from prosecution. In one case, Qureshi is accused of extorting Rs 5.75 crore from a businessman. An income tax raid against Qureshi in February 2014 revealed message exchanges with the then CBI director A.P. Singh, which led to the latter’s resignation as a member of the Union Public Services Commission, to which he was appointed after his retirement from the CBI. On 4 October, a Hyderabad-based businessman named Sana Satish — one of the suspects in the Moin Qureshi corruption case – alleged that he paid a hefty sum to CBI officers to get the agency off his back. In his statement to a magistrate, he named Asthana, Dubai-based businessman Manoj Prasad, and Prasad’s relative Somesh. Satish alleged that he paid Rs 3 crore to the three men over 10 months to remain off the CBI’s radar. He said he paid Rs 25 lakh to a middleman as recently as 9 October last year, at Prasad’s behest, to avoid appearing for questioning before the CBI. Following this complaint, the CBI registered a case against Asthana as accused number one and a deputy superintendent of police-rank CBI officer, Devender Kumar, as well as the Prasad duo. Kumar has also been arrested. In a letter to the vigilance commission, meanwhile, Asthana listed 10 cases where he alleged Verma tried to influence the investigation. Asthana said Sana claimed to have paid a bribe of Rs 2 crore to Alok Verma to avoid any action by the CBI. He also alleged that when Sana was called in for questioning in February 2018, Verma restricted Asthana from examining him. He added that Verma also tried to influence the investigation in the IRCTC scam involving former Bihar chief minister Lalu Prasad, saying searches in the cases were called off at the last moment. Other cases listed by Asthana in which Verma allegedly interfered include the coal block allocation scam. In another letter to the CVC, Asthana has alleged that attempts were underway to falsely implicate him in certain cases. He has alleged that the CBI director sent teams to Vadodara, Surat and Ahmedabad to dig out information against him, without the government’s permission, as is mandated by the Prevention of Corruption Act for investigations against a public servant of his rank. “These acts of Alok Verma are illegal and mischievous,” Asthana wrote. He alleged that despite his name not featuring in the Sterling Biotech FIR, “an officer of doubtful integrity”, Ajay Bassi, had been keeping a watch over him. “He is said to be reporting directly to Verma, carrying out his instructions,” Asthana alleged. He said Bassi and other officers had been assigned the task of “somehow” finding evidence to link him to the Sandesaras. It has been alleged that the Sandesaras hosted the wedding of Asthana’s daughter at their farmhouse, and that the CBI special director’s name featured in a diary listing suspicious transactions that was recovered from a Sterling factory in 2011. “In this regard, Bassi and one Ashwani Gupta are examining people in Vadodara and have sent notices for production of documents pertaining to expenditure related to marriage of my daughter, which took place in 2016, along with his guest list,” Asthana said. Saying he was being framed, Asthana claimed that while the wedding was in 2016, the allegations in the Sterling FIR pertained to 2011. In the letter, Asthana requested the CVC to constitute an SIT for a fair investigation in the cases against him. Another party in this fight is the CBI No. 3 — A.K. Sharma, a 1987-batch Gujarat cadre officer who serves as joint director in the investigation agency and was earlier the inspector general (intelligence) in Gujarat. He, too, is said to be close to Narendra Modi and a friend of Alok Verma. Verma has reportedly given him several important investigations, apart from appointing him the head of the anti-corruption division. Asthana and Sharma both worked together in Gujarat. While Asthana was elevated to the post of special director, Sharma’s promotion is still due. One of the theories about the CBI faceoff suggests that Sharma and Asthana developed a hostile relationship over their individual bids to curry favour with PM Narendra Modi, with a full-blown ego clash ensuing after Asthana’s elevation. Sharma, this theory suggests, encouraged Verma to go lead the fight against Asthana. It looks both the CBI officials are close to PM Modi and have done favours to him in the past. Now both of them expecting Modi to return the favours done to him. Let’s wait and watch what is going to unfold.. The story is well written, but does not include the later development in the form of a propaganda film got produced by Asthana himself and already taken note of in the social media. Hari Sud is correct but, dumping itself is not the only solution. Propriety demands that both must first be relieved of their posts and placed under suspension to initiate a high level inquiry by a retired SC judge. They must not be given any posting unless acquitted by the committee. It is imperative for the govt (and CBI, IB, SFIO, NSA, MHA, DOPT, Establishment Officer to GoI, etc.) to explain as to how Astana had the temerity to get the aforesaid film made on himself and if he had obtained the required clearances in accordance with the CCS Conduct Rules, etc., and also if he had also explained the source of the funds spent on the film production. It is necessary further to know how the aforesaid entities could overlook the film produced by Astana in his own interest and for using the same for his own career. The story has a reference to the CVC also and the matter needs to be investigated. Overall, this is a very dangerous situation representative of the existence and powers of a very power crazy bureaucracy. We only hope , GoI will be able to gather the courage to find respectable solution. Is it possible that these cases may have political connections? They were also investigating highly sensitive political cases and the politicians wanted them of their back and decided to exploit their departmental rivalary to get them of their cases. Former Finance Minister P. Chidambaram has long arms, he wanted investigations against himself stopped before elections. So has Vijaya Mallaya, who would do anything to get investigation against him stopped or completely dropped. I believe both these officers of the CBI need to be dumped. A new director ( a non CBI official) be appointed to the job. If you don’t do it then media will make mountain of the mole hill.